Laura Curran was sworn in as the Nassau County Executive in January of 2018. As County Executive, Laura wants to "root out the corruption that has plagued our County and give Nassau the fresh start it so desperately needs." Laura ran on a pledge to fix the mess in Nassau County by finally ending the decades of nepotism, patronage, and mismanagement that have wasted taxpayer dollars. Laura was previously a Legislator from the 5th District, representing the communities of South Hempstead, Baldwin, Freeport, Merrick, Oceanside, and Rockville Centre. Her service on the Public Safety; Finance; Minority Affairs; Public Works; Planning, Development & the Environment; and Towns, Villages & Cities committees gave her the opportunity to ensure the communities she represents were more safe, healthy, and resilient. Throughout her career in government, Laura has lived by a simple tenet: respect taxpayer dollars and make government work for those it serves. That's why as a Legislator, Laura worked with members of her caucus and those across the aisle to get things done for her community. She spearheaded bipartisan efforts to help veteran-owned businesses do work with the County, waive rebuilding fees for Sandy victims, create a Land Bank to rid our communities of blighted 'zombie homes,’ and restore funding to our bus system. However, Laura has never shied away from her core progressive principles and has refused to budge when her values are at stake. Laura began her career as a reporter at the NY Daily News and the NY Post, covering education, politics, and crime, and was often among the first reporters at breaking news scenes. She specialized in in-depth features, often writing about Long Island. She was an adjunct professor of journalism at SUNY Purchase. Laura served as a Trustee on the Baldwin Board of Education from 2011-2014, serving as President in her final year. She worked hard, under serious budget constraints, to ensure that every student had access to a well-rounded education. She is a member of the Baldwin and Freeport Chambers of Commerce and the Baldwin Civic Association. She earned her B.A. in Liberal Arts at Sarah Lawrence College, and lives in Baldwin with her husband and their three daughters. Anita Marco is the President of The Print Cafe Inc, a complete marketing, printing, sign, promotional, website design and an apparel company. She has devoted 25 years of expertise in the printing industry. Combining a broad range of skills from marketing, design, production management and financial planning to fulfillment and direct marketing. The Print Cafe is Anita's vision of a web based one stop shop for elevating your company brand or creating a brand. Specializing in the production of all publications, packaging products, signs, apparel and promotional products, for business operations. She has combined dynamic marketing concepts, and on demand printing and graphic design all under one roof. Anita is a Licensed Real Estate Agent with Canterbury Real Estate for over 6 years. She has a unique set of skills to promote and market properties to get it sold at the highest possible price. Anita combines her Marketing skills to promote properties and get them the best exposure. She specializes in guiding seniors through the delicate and stressful process of selling their properties with the utmost care and respect. Anita is a Partner with Altmark Properties Inc.; specializing in the purchase of residential and commercial properties improving and reselling them. Anita was the President of the LI Center for Business and Professional Women from 2014 to 2016. She has served on the Board for 7 consecutive years as President, Exec. VP and a Director. 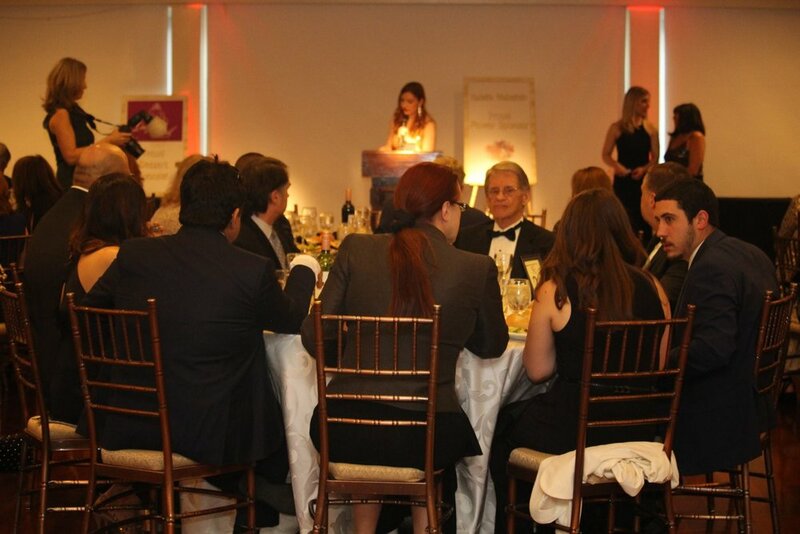 She has Co-chaired the Achievers Gala for 3 years and served on the Gala Committee for 2 years. She has been a member of the organization for 7 years. Anita served as the Evangelical Trustee on the Board of Grace Lutheran Church in Malverne from 2015 to 2016, and served as Assisting Minister and Choir Member for 12 years. Anita was the recipient of “The Premiere Long Island Power Women in Business Award” December 2015. She was an Honoree for the 2015 Gala “Your Time for Creative Empowerment”. She served on the Committee for the United Cerebral Palsy Fashion Show at Oheka Castle September 2014 and September 2015. She has served on the 2014 Committee for “ Your Time for Creative Empowerment” Scholarship Dinner. She was a proud Sponsor for “ Mondays at Racine” LI Beauty Ball, raising money so people with cancer may improve their physical appearance and self esteem. Proud Sponsor for 2015, 2016 and 2017. Anita is a recent breast cancer survivor and is committed to supporting women through organizations that focus on screening and prevention coupled with research. She was a Sponsor for the Lutheran Counseling Center Gala in October 2015. Anita is a supporter of the Lutheran Counseling Center and Lutheran Social Services Food Pantry in Uniondale. Anita graduated from SUNY Stony Brook with a Masters in Science, from the Averell Harriman School of Business and Public Policy. She was the recipient of the “ Outstanding Thesis” from her Department. Anita Graduated from the Lutheran Diakonia School for Deacons June 2017 and she serves at Holy Trinity Rockville Center NY. Anita has been published and featured in the Newsday. She was featured in “ Doctors explore causes of breast cancer” and a published article, “ Diversity in our School Districts”. She was published in The Herald for an article, “ Mothers Day Tribute”. She was featured in The Long Island Business News, article on “ Board Leaders”. She is Assisting Minister, Reader and Professional Vocalist at her Church. Above all things she is the proud wife to Tony and mother to Tony and Olivia Marco, by far the greatest joys in her life. Everything we do we do for our families and friends. Laura Jacobellis started in the collision repair industry back in 1987. Like many of us just out of high school, she wanted to be independent and make it on her own, so needed to earn some money and pay her bills. So, like many of us, she opened the Help Wanted section of the newspaper and she found a job offering for a receptionist at a collision repair shop. What the job actually entailed, she had no idea, but she went in with that can-do attitude that has propelled her throughout her career. Laura learned how to be a great receptionist and assist people who needed information about their vehicles in the shop. Laura had a knack for being a “people person” and really enjoyed not only talking to the customers but helping them out. Only six months into her new career as a receptionist, the shop owner needed help with estimates. Once again Laura had to quickly learn another job. Laura did hours of research, reading and studying at home to learn all about estimating. After about a year with the shop Laura earned the respect of the shop owner, and he left her alone at the shop more and more. Laura had a lot a pressure on her, and she had to face a barrage of catcall comments, sexual innuendos and verbal abuse from not only certain employees, but parts deliverymen and insurance adjusters not to mention the occasional arrogant customer. Laura eventually out grew that shop and moved on to bigger and better things. She finally landed at pretty successful shop where she was to be the general manager. The shop was involved with multiple insurance company programs, commonly known as Direct Repair Facility. At that time the industry was going through a big change, as training was becoming a requirement. Laura took all the classes she could take and started to get involved in industry association meetings. It was through training and meetings Laura learned about the new Original Equipment Manufacturer (OEM) Certified Collison Repair Program (CCRP). As Laura learned more about the CCRP the more she realized she was not happy with the insurer type repair relationship. Through a mutual friend, Laura was introduced to Sal (owner of Sal’s Auto Body). Laura and Sal hit it off right away and had the same vision to be the best OEM Repair Facility. 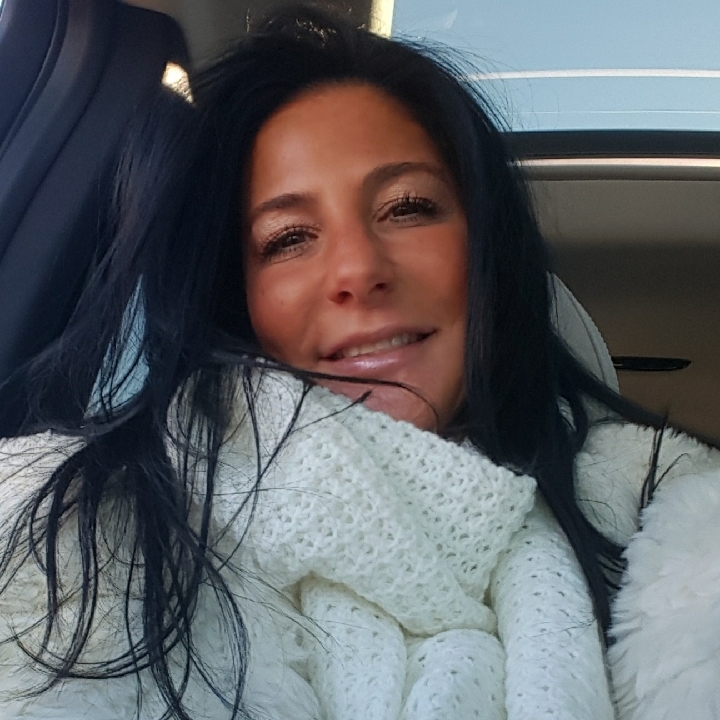 Since joining forces with Sal’s Auto Body, Laura has brought Mercedes-Benz Elite 2 Aluminum Repair Certification, BMW Approved Repair Certification and is only one of two Certified Sprinter Collision Repair Centers in the New York City/Long Island Area. Laura has also secured OEM certifications from Nissan/Infiniti, GM, Cadillac CT-6 (Aluminum), Chrysler, Dodge and Jeep, Ford and Ford F-150 Aluminum, Hyundai, and soon Subaru and Volvo. Laura single handedly has increased Sal’s annual gross sales by 56.8% over the last six years and her employee retention over the past six years is 96.8%. Laura, who never stops moving or planning, is now rebuilding Sal’s website to be more informative and interactive with other social media outlets, such as Sal’s Auto Body Facebook, Twitter and Instagram. Additionally, Laura is now in negotiations for Sal’s to sponsor a Champion Drag Motorcycle Team and is working on bring more attention to Sal’s Auto body and their business relationship with their sponsoring Mercedes-Benz and BMW dealerships. Laura has persevered a lot of male chauvinistic attitudes and push back, as the collision repair field is a male dominated industry, to become one of the most successful facility operators in the country. Laura's never give up, never let them get you down attitude has put her at the top of the this male dominated industry. Jamie E. Bogenshutz has lived her entire life on Long Island. After graduating from Washington University with a Masters in Social Work she began her professional career as a social worker at YES Community Counseling Center in 1979. Providing comprehensive outpatient drug treatment, services to victims of abuse and trauma, and youth and family services in its two facilities, the agency has been awarded countless grants and acknowledgements through its 41 year history. Under her leadership, YES has grown from five employees to 50 within the non-profit sector. Jamie’s work has provided her with the opportunity to teach, mentor, advocate and provide a voice for many. Through her leadership, programs were developed to assist thousands of community members to receive support and assistance when tragedy struck their community. Critical services were provided to those effected by the horrific events of September 11, and in the aftermath of Super Storm Sandy, door to door support programs were offered for three South Shore communities that were ravaged by the storm. Jamie is a licensed certified social worker, and has continued to pursue her professional development receiving her accreditation in the field of social work and certification as an alcohol and substance abuse counselor. She is also a board certified expert in Traumatic Stress, and a Diplomate in the American Academy of Experts in Traumatic Stress. She is certified and conducts training in Child Abuse Identification and Reporting, suicide prevention and trauma response, as well as Nalaxone administration in response to the opiod and heroin epidemic. In addition to her responsibility as the Executive Director, Jamie has served the community as a guest speaker and presenter, a consultant and trainer specializing in the area of traumatic response, suicide prevention, crisis intervention, child abuse, and a spokesperson and advocate for the Human Services profession. Jamie currently serves as the co-president of the Nassau Alliance for Addiction Services (NAFAS), the Vice President of the Coalition of Youth Services Providers and the President elect for the Chamber of Commerce of the Massapequas. She has been recognized as an Honorary Life Member of the Parent Teachers Association for her work within the school community and is an adjunct professor for the Adelphi University School of Social Work. She has been trained through the L. I. Non-Profit Leadership working as a consultant and training other non-profit Boards of Directors as well as mentoring new Executive Directors. She is an active member of the Nassau County Heroin Prevention Task Force and chairs its committee for Outreach, Prevention, and Education. She has been recognized as a Woman of Distinction by the NY State Senate and the Town of Oyster Bay and has worked tirelessly to create community partnerships. Her successful efforts to amend the Nassau County Social Host Law has been one of her greatest professional accomplishments. Her work with children and families and being a part of the change that saves a life, is a gift she will always treasure. Jamie has been able to grow professionally due to the love and support of her husband, Rick. They have two children who have grown into strong and loving women, wives, and mothers, and has three amazing grandchildren. Dawn Nicoletto, best selling author, CHHC, CLC. Co-founder of Whole Self Approach™, LLC. She is a Certified Whole Self Approach™ Coach and Health Coach. Dawn has co-developed the Whole Self Approach™ training program, co-authored Success Mastery with Jack Canfield and other experts in the field of business and life, and self-help workbooks. She co-created the Happiness Workshop which has helped thousands of people find their meaning of true joy. She is a motivational speaker as well as an expert in addiction counseling. Dawn is the co-host of Live Your Truth with Whole Self Approach™ show. She is in the process of co-writing her second book, Whole Self Approach™ to Healthy Living with Clorinda. 6pm Cocktails, 7-10 PM Award & Dinner.